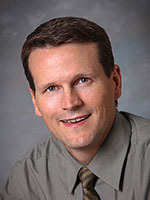 Dr. Anderson is a graduate of Albany Medical College, New York, and completed his internal medicine residency at Brown University at Rhode Island Hospital/The Miriam Hospital. He completed his Hematology/Oncology fellowship through Brown University/Boston University and has served as a teaching fellow at Rhode Island Hospital and the Miriam Hospital. He is a member of the American College of Physicians, the American Society of Clinical Oncology and the American Society of Hematology. As a hematologist/oncologist, Dr. Anderson specializes in cancer and disorders of the blood.